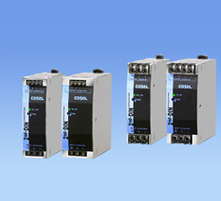 New Product | COSEL ASIA LTD.
RB series is Cosel’s latest configurable AC-DC power supply with 3 isolated outputs. It is rated at 200W and there are 124 different output combinations available by various output configuration. RB series meets not only OVC III required in industrial application market but also the ITE and telecommunication apparatus standards. One power supply can output the voltages for both drive and control systems. It fulfills the requirements for various robotic specifications. RB series has many options available such as conformal coating, remote on/off, low leakage current, chassis, etc. 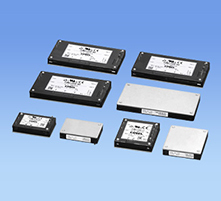 The reinforced isolation is designed between different outputs that is suitable for IGBT drive. 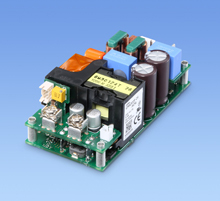 AME series is Cosel’s latest high efficiency configurable AC-DC medical power supply. AME series is approved with the latest IEC60601-1 3rd edition and it has a medical isolation grade of 2MOPP making it ideal for many kinds of medical applications. It also comes with a low-profile design which is fit for the 1U rack size. Cosel has released 600W and 1200W models and 4 output modules with a rated output voltage of 5V, 12V, 24V and 48V. 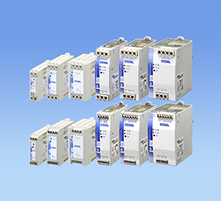 These output modules are available for various output configuration. More output modules will be due out in May 2019. AME series complies with IEC60601-1-2 (2014) 4th edition so that it can cope with instantaneous voltage dip. It is equipped with AUX (5V/1A), remote ON/OFF, global inhibit and alarms function. 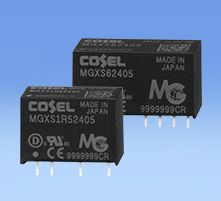 Cosel has released MGX series, the DC-DC converter with ultra-wide input range. Currently, it has rated output wattage of 1.5W and 6W with single or dual output voltages. MGX features ultra-wide input range from 6 to 60V (10:1). In comparison with previous DC-DC converters, MGX can accept a different input voltage of 12V, 24V or 48V. Its ultra-wide input range can deal with large input voltage fluctuations. MGX is highly reliable with a 10-year warranty. It is capable of withstanding a short-time input surge voltage of up to 76V. When instantaneous power failure happens, MGX can keep operating at a lower input voltage to provide good protection for your equipment. MGX is an ideal solution not only for the telecommunication equipment which requires wide input voltage range, but also for the control panel of analytical instrument, production equipment, and PoE applications. MGX is also highly recommended for those applications which are battery-driven since their input voltage widely varies. FETA7000ST is a three-phase 380VAC input power supply of 7000 watts with efficiency of up to 90.5% (AC400V). Even higher power can be obtained by using parallel operation and series operation. It comes with a space saving design of 1U height. The output voltage is adjustable from 0V to 52.8V (48V model) or 0V to 158.4V (144V model) by using TRM to meet your request for different values. FETA7000ST is highly reliable as it is equipped with various protections including overcurrent protection, overvoltage protection and thermal protection. The built-in LED can also let you know power off and any abnormal status of the power supply. So, it is ideal for many applications such as large industrial equipment, high frequency power supply, semiconductor manufacturing equipment, etc. 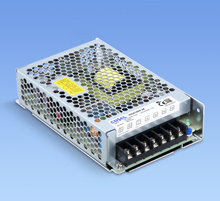 WXA150H is the latest economical enclosed type AC-DC power supply with high reliability. The AC input range is selectable by a switch and it has a wide operating temperature range from -20℃ to 60℃. The rated output voltage is 12V, 24V or 48V. WXA employs the Japanese quality management and it is manufactured in Wuxi Cosel with a short delivery lead-time. It features high efficiency, long lifetime, and uses only 105℃ long lifetime Japanese brands electrolytic capacitors. It can save space because of its compact size. WXA has overload and overvoltage protection. It can withstand AC300V surge input for 5 seconds. WXA comes with 5-year warranty despite being an economical product. 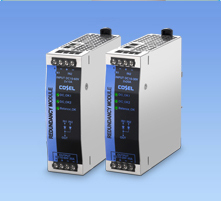 GMA series is Cosel’s latest high-efficiency medical power supply. GMA300F accepts universal input (AC85-264V) with an efficiency of up to 93%. It has the industry’s highest power density for 300W in 2"X4" and its height is less than 1U. GMA300F comes with a single output voltage of 12V and 24V, and AUX output is also available for 12V or 5V (option). Backed by a complete set of medical safety approvals (ANSI/AAMI ES60601-1, EN60601-1 3rd and IEC60601-1-2 4th Ed. ), GMA series is ideal for many medical types of equipment. It complies with IEC60601-1 3rd and IEC60601-1-2 4th edition. GMA series is suitable for medical type BF applications such as hospital communication and monitoring equipment. The built-in microprocessor will stop the output if the applied input voltage gets lower than the specified lower limit, providing good protection for your equipment. PCA series is Cosel’s latest high efficiency AC-DC power supply featuring digital communications. 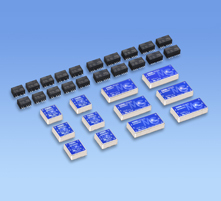 PCA accepts universal input (AC85-264V) with efficiency of up to 94%. It is super compact with a case size of just 89 x 41 x 152 mm (600W) and 102 x 41 x 178 mm (1000W). PCA comes with a single output voltage of 5, 12, 15, 24, 32 or 48V, all of which has a wide adjustment range of 60% to 120%. The built-in micro processor allows for communications (PMBus compliant) to monitor and change various setting values of the power supply. Constant current operation is possible without using external components. Constant voltage and constant current operations are also possible by using the VTRM and ITRM terminals. CVCC is suitable for LED lighting application, peltier device, and battery charger…etc.. Parameters such as input and output voltage, output current, temperature inside the power supply, fan speed and input frequency can be monitored remotely. Backed by a complete set of industrial and medical safety approvals (ANSI/AAMI, ES60601-1, EN60601-1 3rd edition), PCA series is ideal for many industrial applications such as test and measurement equipment, telecom equipment, laser equipment, factory automation, laboratory application, non-patient contact medical equipment. PJA series is an economical enclosed type AC-DC power supply with enhanced reliability. Cosel has just added PJA1000F and PJA1500F to the PJA series’ lineup (24V and 48V output). The PJA series accepts a wide input range of 85-264VAC and complies with the SEMI F47 standard. They can work in a wide ambient operating temperature range of -20℃ up to +70℃, and have rated output voltage variations of 5V (for 600W), 12V, 15V, 24V, 36V and 48V, which are suitable for most industrial applications. In comparison with our previous cost-effective PLA series, PJA series has further improved its reliability. PJA100F and PJA150F are built with double-sided PCB so the soldering reliability is greatly enhanced. And PJA300F has a low-profile design (1U size), and screw hold type terminal block. The efficiency of PJA600F is 88% max (4% higher than our previous PBA series). 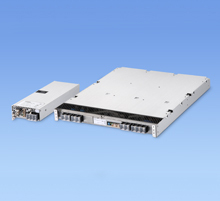 Furthermore, PJA series has a better surge voltage tolerance and improved EMC compatibility. It comes with a five-year warranty. PJA100F and PJA150F can easily be installed in any confined space (such as control cabinet) because of their low-profile design. The DIN Rail option of an improved design can be added to realize easy installation and removal. You can also choose various options for PJA series to realize different functions such as coating, remote control, parallel operation, etc. PJA1000F and PJA1500F are of high power with AUX output (5V, 12V and 24V selectable)，and the fan stops or runs at a low speed at no load. They are suitable for laser equipment and large industrial equipment. If you are looking for a high-reliability and cost-effective solution, PJA series is the most ideal power supply for your equipment. 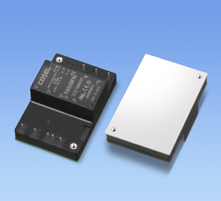 Cosel has released new 200W AC-DC power module. It has a very high efficiency of up to 94% in half-brick size. The unique structural design enables the power module to realize conduction cooling efficiently and operate smoothly. PMBus communication interface option could be added to provide remote monitoring and control capabilities. Therefore, you can have real-time access to the condition of the power supply and deal with emergency timely. Besides 24V output, which is widely used for industrial equipment, TUXS also has rated output voltage of 42V and 50V, which are suitable in GaN applications and battery charger. PLA series is enclosed type industrial power supply. The power ranges from 15W to 600W. It is suitable for many kinds of applications, such as LED sign, automation and testing equipments. 100W and 150W are most suitable to use in machine tool and industrial robot. PLA series is the economical series with high reliability just like the high end PBA series. By using PLA series, the cost can be significantly reduced. 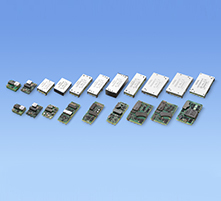 The basic design concept of PLA series is to simplify functions and use intelligent circuit. All capacitors used are rated 105℃. The lifetime of built-in fans can reach 50,000 hours (at 60°C). The height is 1U, PLA300F is 41mm（1.61"）and PLA600F is 61mm. 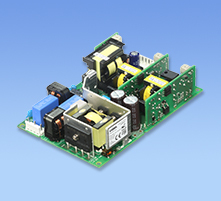 We offer options for the power supply such as conformal coating, low leakage current for medical equipment, and low input voltage stop for semiconductor manufacturing (SEMI F-47). 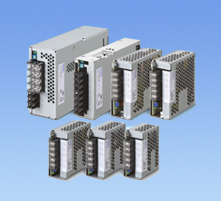 KH series is the latest DIN rail mount power supply which adopts convection cooling and has peak power capability. The power ranges from 30W to 480W as of today and the product range is expanding. It has two different types of input interfaces, Euro type and terminal block type. It is designed with Cosel's latest developed digital control technology. KH series has the world's highest conversion efficiency (over 92%) which enable it to reduce power consumption and carbon dioxide emission. It is an environmental friendly power supply. KH series is also equipped with built-in remote ON/OFF function and alarm function to signal abnormality of the output voltage. KL series is DIN rail mount power supply with basic functions. It has 120W and 240W as of today and the power range is expanding. The output ranges are 24V or 48V. It has a wide operating ambient temperature range from -20℃ to 70℃ and built-in power factor correction. KR series is compact so it can fit in the control cabinet easily and save precious space for other electrical components. KL series is convection cooling power supply equipped with overcurrent and overvoltage protection. KR series redundancy diode module is of the same size with KL series power supply (120W). It has a wide input voltage range：10Vdc-60Vdc, DC OK signal and input voltage balance LED. KR series redundancy diode module comes in handy if your application need to use redundancy operation to increase the system reliability. With KR series oring diode module, current sharing can be achieved effortlessly. KR series is designed to be used with Cosel's DIN rail power supplies but it is also compatible to power supplies of other brands. TUNS series is the power module that combines universal input front-end PFC and DC-DC converter. TUNS50 (50W) is in quarter brick size, and TUNS100 (100W) is in half brick size. This product can shorten your application development time and save space. The standard output voltage is 5V, 12V and 24V. The output voltage is adjustable by connecting an external potentionmeter and resistors. TUNS series can operate at full load at a baseplate temperature of 75℃ and derates to 50% rated current at a baseplate temperature of 100℃ . 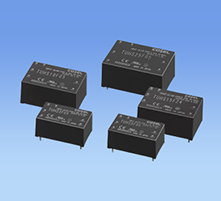 TUNS series has built-in overcurrent, overvoltage and thermal protection. Cosel has newly added MGF40, 40W DC-DC converter to the popular MG series. MGW has rated output voltage variations of ±5V (only 15W and 30W), ±12V and ±15V. 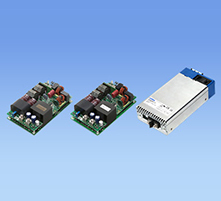 MG series is Cosel's newest compact size onboard type isolated DC-DC converters. The complete lineup of MG series starts with 1.5W and currently goes up to 40W, spanning a wide lineup of more than 240 models. It includes 2:1 input range (MG) and 4:1 input range (MGF) and provides output voltages of 3.3V to 15V. It is suitable for various applications like communication equipment, analytical devices, control boards in manufacturing equipment, battery powered equipment, etc. 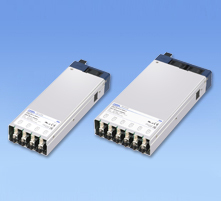 MG series features up to 60% size reduction from Cosel's previous generation DC-DC converters. Our resonance technology and synchronous rectification technology give MG series up to 3 times more power density than competitors' products. It works in a very wide temperature range of -40 to 85C. MGF features a wide 4:1 input range of 4.5-13V (MGF40 only), 9-36V or 18-76V that can minimize the number of parts used in customers' equipment. There are no electrolytic capacitors used inside the MG series making it highly reliable with a 10-year product warranty. 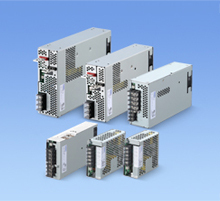 GHA series is an open frame, 3"x5" power supply. The power density of 500W reaches 24.1 W/inch³ and power efficiency is 92%. It is an environmental friendly product since high efficiency results in less heat dissipation. GHA comes with safety approvals of industrial IEC60950-1 and medical EN60601-1 (3rd edition). It is suitable for a variety of industrial and medical equipments. 1U height supports a compact system design and offers many options such as remote control, AUX (5V/12V), signal of power supply condition...etc. GHA series has 5-year warranty. There is an option of -SNF for GHA series. The -SNF option comes packaged with chassis and built in cooling fan that ease the application design and increase reliability of the equipment. Cosel has released new DC-DC isolated bus converter that accepts 24V/48V input. It is suitable for industrial and telecommunication equipment and provides wide ranges of output voltage. It has built-in overcurrent, overvoltage and thermal protection. It also has positive logic remote ON/OFF function. CHS series has 5-year warranty. CHS series is designed with Cosel's self-developed synchronous rectification technology and digital assisted control by micro-computer to achieve a high efficiency. 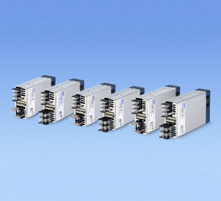 CHS series has an input to output isolation of 2250VDC which complies to IEEE802.3 ethernet standard. From 300W to 500W, there is digital PMBus interface option, which can help you manage the condition of power supply effectively. 400W and 500W has a parallel connection option that enables you to increase the total power if needed in your application. TUHS series is designed with Cosel's self-delveoped low noise technology and soft switching circuit. The ultra small size enhances component layout flexibility. The designer can select the most suitable output capacitor to control the hold up time needed for the application. It has a universal input voltage range (AC85-264V or DC120-370V) and a wide operating temperature range (-40℃-85℃). The efficiency is high and standby power consumption is low. TUHS series is ErP-compliant so it can be used in small portable equipments and also different kind of testing equipments. It has 5-year warranty.